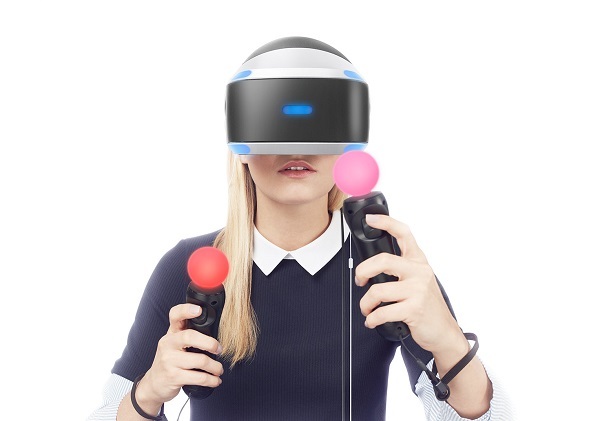 GDC 2016: SONY launches PlayStation VR (PS VR) at $339, will go on sale in October. Sony today at the Game Developers Conference (GDC) announced that PlayStation VR (PS VR), a virtual reality system that takes the PlayStation 4 (PS4) system to the next level of immersion, will launch from October 2016 in Japan, North America, Europe and Asia, at manufacturer's suggested retail price of 44,980 yen, $399 USD, €399 and £349. The PlayStation VR system has a Cinematic mode, which lets users enjoy a variety of content in a large virtual screen while wearing the headset. Supported content for the Cinematic mode includes standard PS4 games and videos as well as variety of PS4 features including Share Play and Live from PlayStation. Users will also be able to enjoy 360 degrees photos and videos that are captured by devices such as omnidirectional cameras on PS VR via PS4 Media Player, which will let them feel as if they are physically inside the captured scene.